Everyone needs a website. And whether it's for a blog, store, or web presence, WordPress is arguably the best platform to use. 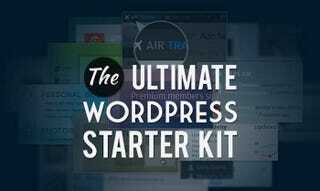 So for a limited time, Gizmodo readers can get 84% off the Ultimate WordPress Kit. It includes premium themes and plugins to build or enhance any the functionality and look of any WordPress site.